Signing stones are a unique alternative to a guestbook. Your guests can pick a stone and sign their names and small message and place it in a vase or dish of your choice. 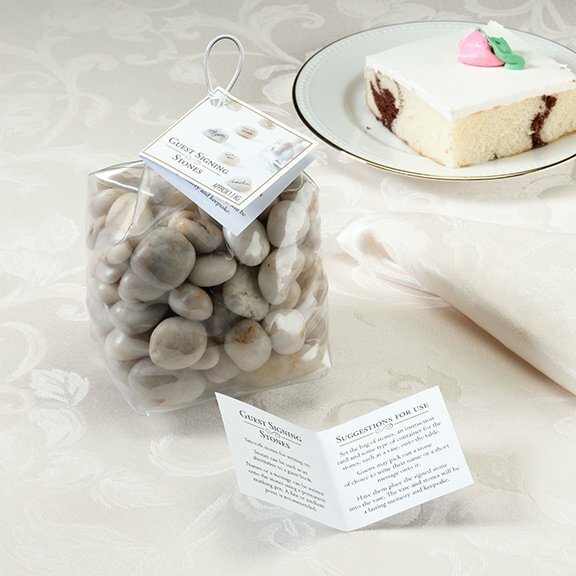 This set of approximately 100 signing stones is packaged in a clear plastic bag with instruction card. Signing pen not included - a permanent fine point marker recommended. Look for item SR100 for our signing stone set that includes vase.